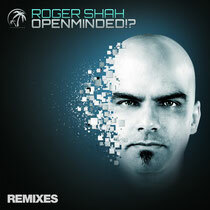 18 months after the first sounds of ‘Openminded! ?’ touched down, the official ‘Remixes’ album lands. The new release includes remixes by names such as Signum, Mischa Daniels, Sean Tyas, Stefan Dabruck and Antillas, as well as Andrew Rayel, Tomas Heredia, Kim Svard and many more. The sixth artist album of Shah touched down in the summer of 2011, including the sounds of tracks ‘Morning Star’, ‘Hide U’, ‘Obsession’, ‘Island’, ‘One Love’ and many others. All of these are included on the album, in their new remixed versions. It's out March 8 on Armada.